Highstone House is pleased to announce that high speed fibre optic broadband is now available to all our tenants, offering superfast speeds to cater to all your internet needs at no extra cost to their standard rate! The fibre optic service is an improvement on traditional broadband as it uses fibre optic cables, made from glass or plastic fibres, to send the data, making it exceedingly fast in comparison as well as being much more reliable. Today, fibre optic broadband is recommended for businesses as its speed enables the user to be more productive – internal communications are quicker, video conferencing will be smoother, it is quicker to send and receive large documents, and browsing the internet would be much more efficient. 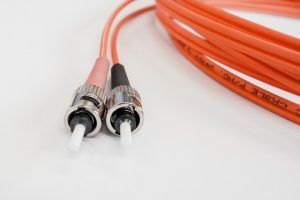 The affordable and improved alternative to traditional broadband may also help reduce other business costs as other areas are improved and become more time-efficient. Right now, Highstone House Business Centre has only one two-person office available for you to rent. Located on the second floor of our sought-after serviced offices in the heart of Barnet, it overlooks the bustling High Street. The monthly charge for the spacious room includes heating, lighting and power, cleaning, maintenance, rates, furnishings and office furniture. There is also a photocopier and word processing equipment which is available at an additional cost. Contact our team today if you would like to take a look and see if the future of your business could be at Highstone House!